Spanish, Greek, Provencal, North African...you'll find all kinds of Mediterranean Restaurant in Auckland. Auckland has a heated and heady mix of Mediterranean cuisines to try. 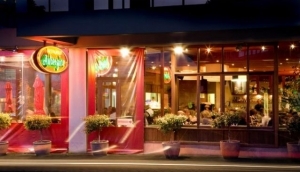 Auckland Mediterranean restaurants enjoy a wide coverage across the city. Some of the best can be found up in North Shore, around Takapuna and Birkenhead. Dominion Road in Mt Eden, Parnell Road, and Tamaki Drive have good Lebanese and Moroccan places. In the CBD, the SkyCity complex, plus Shortland Street, offers authentic Greek taverna style eating. For a more ethnic and authentic experience, head out to Newmarket and Epsom. For world class tapas, the CBD is awash with places all clamouring for your custom. Wynyard Quarter is a nice place to hang out with friends and share mezze plates, or you can splash out on a meal over on Waiheke Island, in Onetangi, which has a few Mediterranean offerings around The Strand.